Our aluminium square hollow sections are the perfect material for your fencing solution. It is incredibly durable, stylish and cost-effective. Aluminium is quickly becoming a go-to option for builders everywhere because it offers the ultimate in style, thanks to its sleek look that can be powder coated in a number of colours. If you contract Everlast, we’ll be with you every step of the way. We’ll visit your property to help design your fence, we’ll manufacture the aluminium square hollow sections and then our skilled fencing tradesmen install the fence for you. You won’t have to lift a finger or worry about a thing. 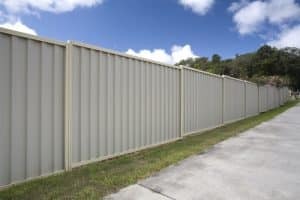 Your aluminium fence will be a worthy investment for your property. It will last forever, and it is low maintenance. All you need is a hose to keep it looking brand new. With aluminium fencing, you don’t have to sacrifice on anything. We are a 100% Australian owned and operated company, and we are committed to giving back to the local community. We employ as many people as we can through the company and the manufacturing plant, and we source everything we can from local suppliers. Quality and customer-care are our first priorities. We aren’t satisfied unless we’ve delivered a product and service that exceeds expectation and provides excellent value for money. We don’t charge top dollar for our quality service. We want our products and services to be available to as many people as possible, so we keep prices low by passing any savings we make onto customers. We have the experience you can count on. After 20-years in the industry, there hasn’t been a problem we haven’t been able to navigate. No matter how tricky your project is, we’ll be able to complete it. We aren’t just a fencing company. We offer the full suite of home improvement services including concreting, decking and landscaping. So, you can deal with one service provider for the entirety of your home improvement project, and enjoy the outstanding Everlast Services commitment to quality.